A RUSSIAN JOURNALIST who wrote for opposition media has been shot dead in Kiev, Ukrainian police have said. 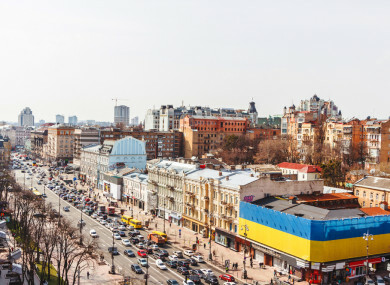 Arkadi Babchenko was shot in his apartment building in the Ukrainian capital, police told AFP. Spokesman Yaroslav Trakalo said he was found bleeding by his wife after she heard shooting, adding that Babchenko died in an ambulance en route to hospital. “Arkadi Babchenko was killed by three gunshots to the back in the stairwell of his building as he came home from the store,” a colleague, journalist Osman Pashayev, wrote on Facebook. Babchenko had hosted a programme on Ukrainian private television ATR for the past year, he said. A virulent critic of Russian President Vladimir Putin, 41-year-old Babchenko left Russia after receiving threats. He first moved to Prague, then to Kiev. Email “Russian journalist shot dead in his apartment in Ukraine, police say”. Feedback on “Russian journalist shot dead in his apartment in Ukraine, police say”.